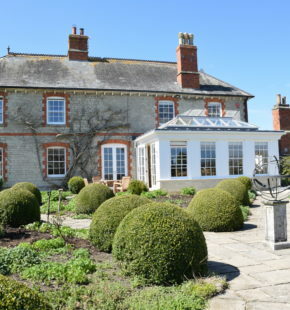 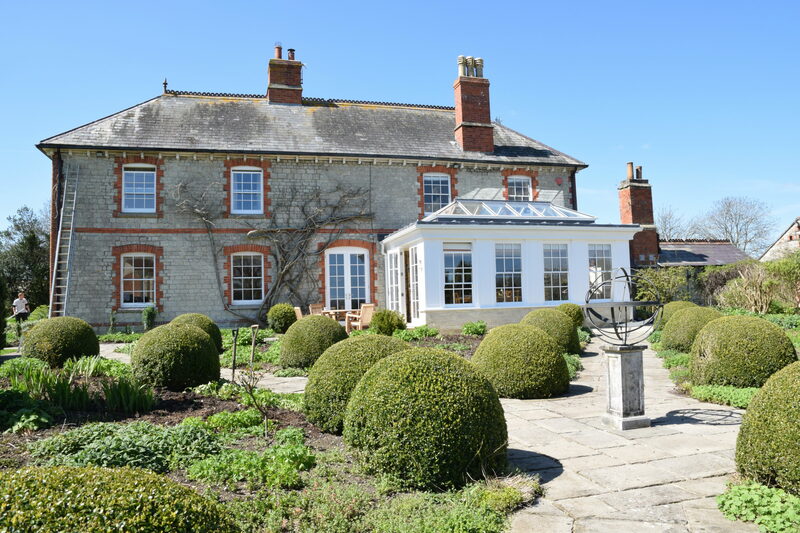 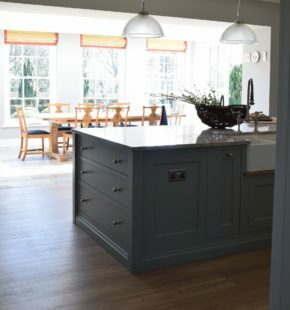 It was the gloom in the clients old kitchen that eventually forced them to move the kitchen from the front to the back of the house, they had a beautiful garden at the rear of the house which they had no view of and they made a decision to add an orangery which would house the kitchen/living/dining area. 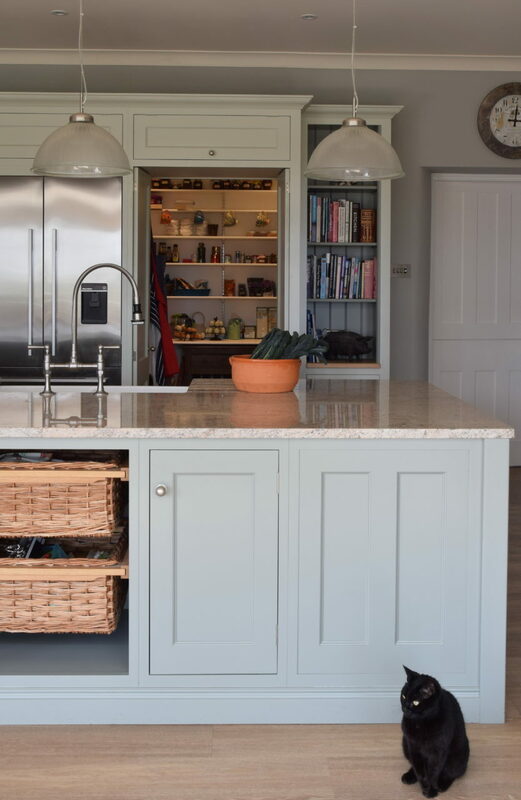 The kitchen is now filled with natural light and the whole space is a relaxed and calm environment in which they can cook and entertain in. 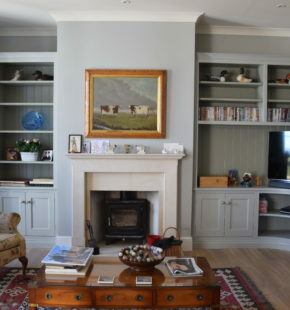 The clients wished for a classic look so Nick picked out Old Rectory style for the cabinetry painted in Farrow & Ball Cromarty, with the three metre long island in Pigeon, it is a big space with a large island so these soft colours picked out by Hannah as part of our design service kept the room low key and not overpowering, yet the different shades help to create a sense of gentle interest. 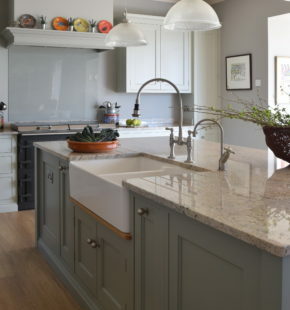 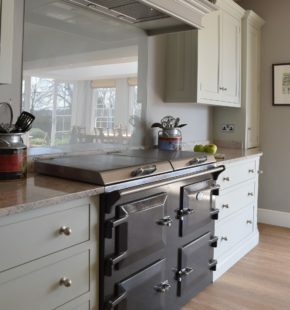 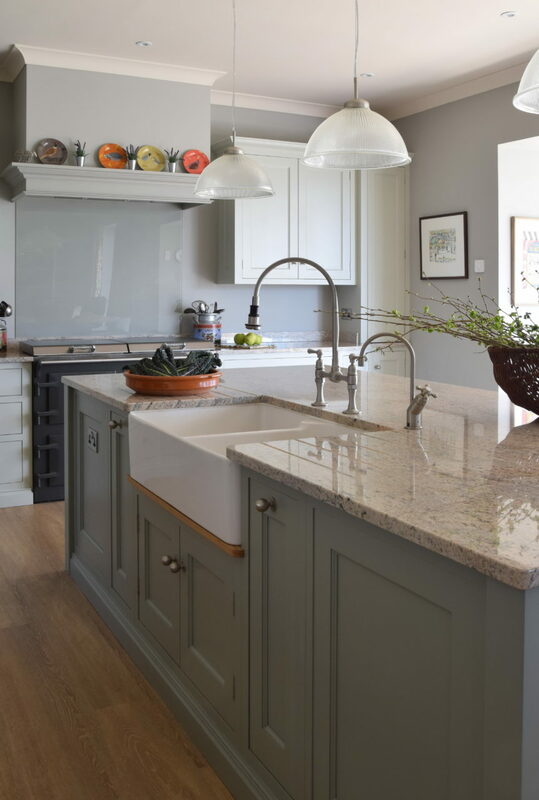 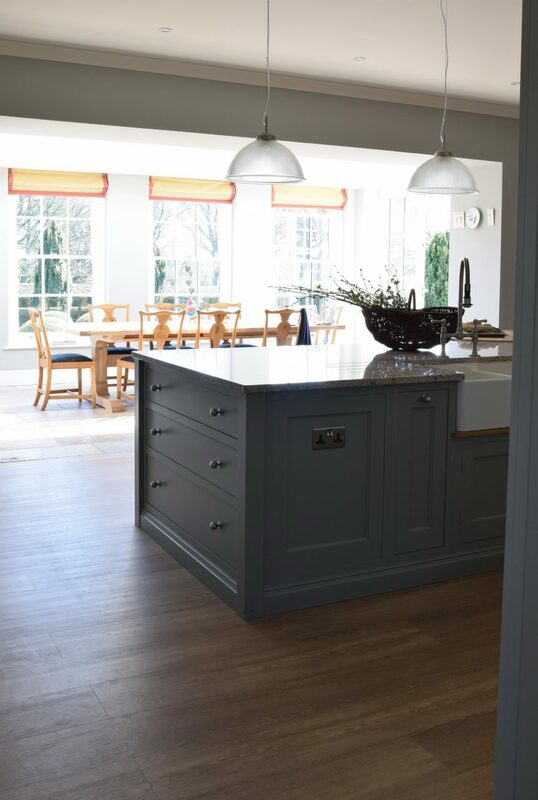 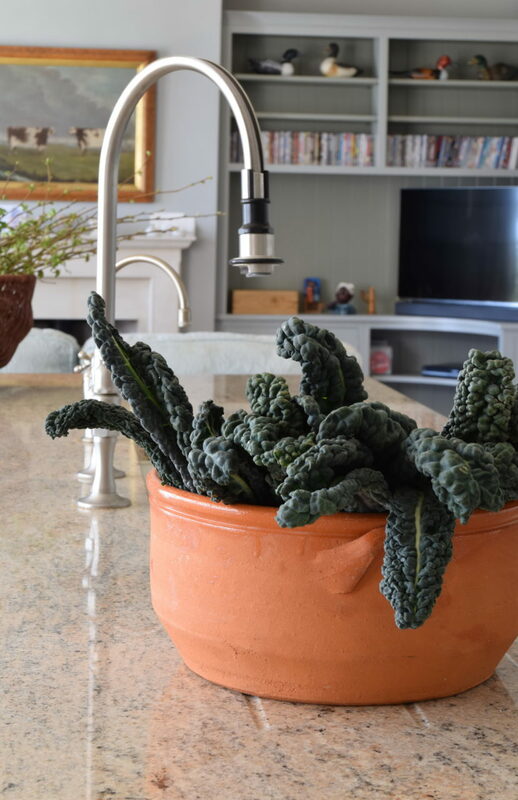 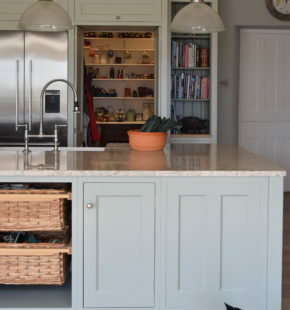 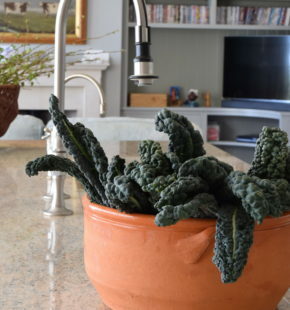 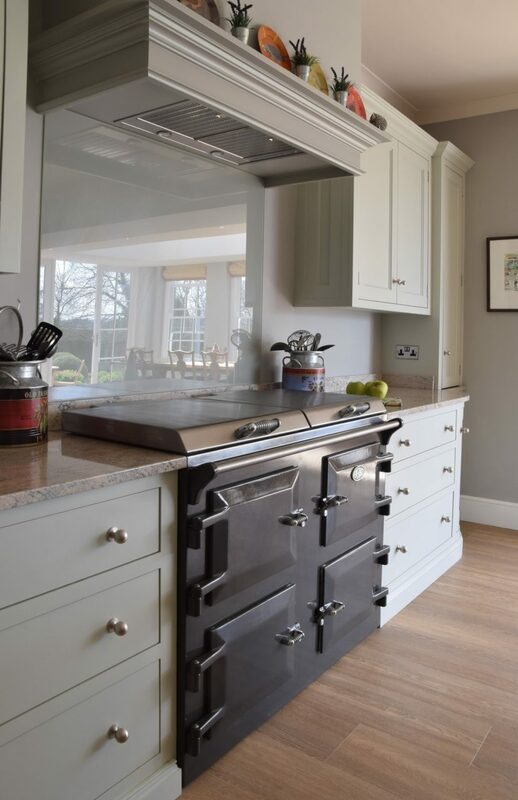 The granite worktops are light, but flecked with earthy tones for natural colour, while the oak elements add warmth. 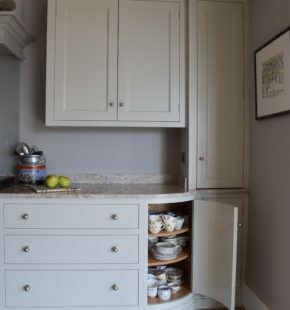 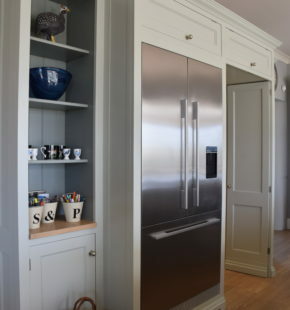 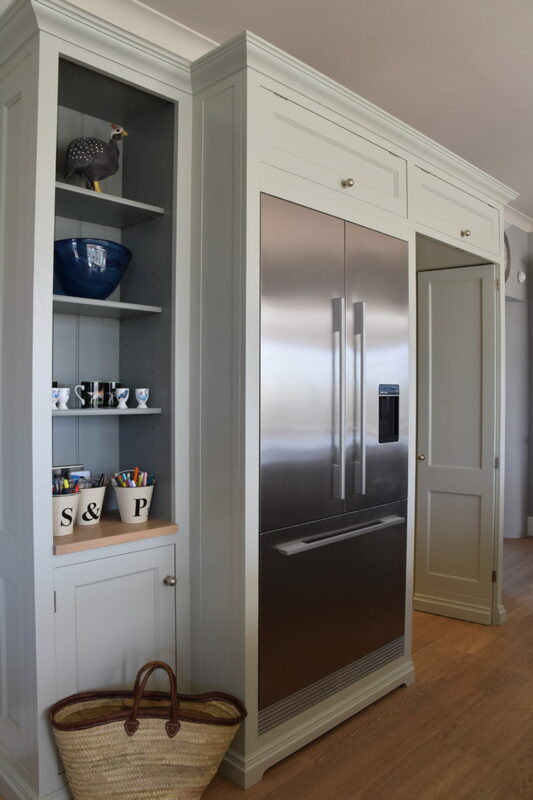 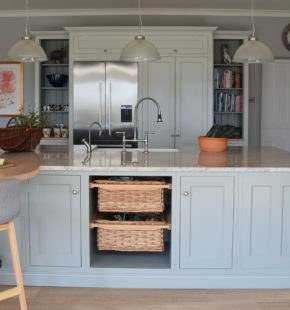 Nick created the walk in larder next to the fridge by stealing a bit of space from the reception area next door, as the client says ‘ I absolutely love the hidden pantry, because there’s plenty of storage plus room to stash pots and pans out of sight when I want to clear up in a hurry’. 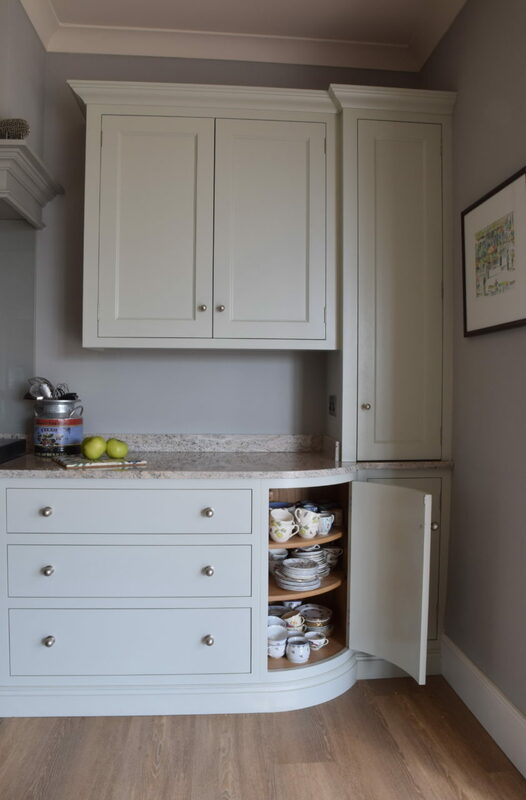 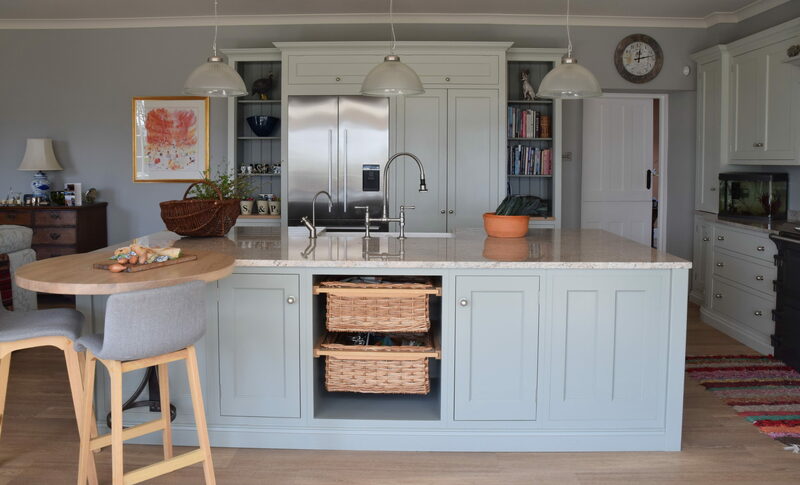 The doors align perfectly within the break fronted cabinetry and create a clean narrative to the space, with the addition of painted shelves on either side. 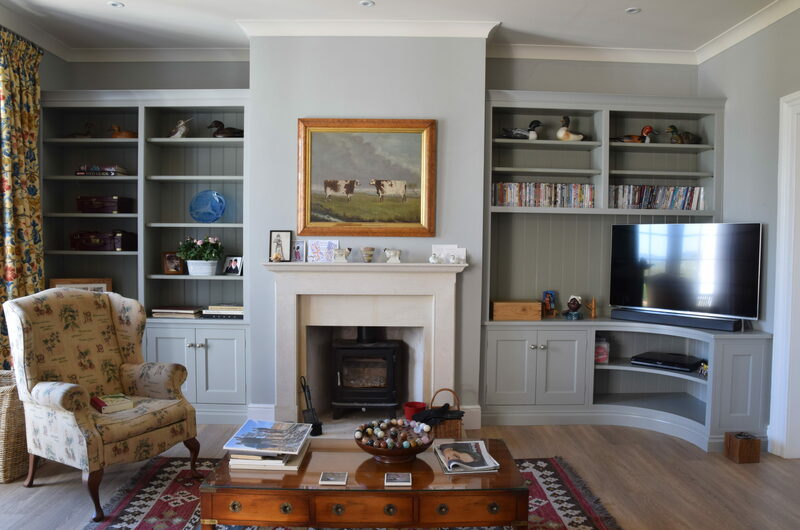 In the adjoining sitting room Guild Anderson made the built in cabinetry to house the couples books, pictures and and tv, this cosy area is integral to how the clients live and they admit that they both spend most of their time in this one large room.